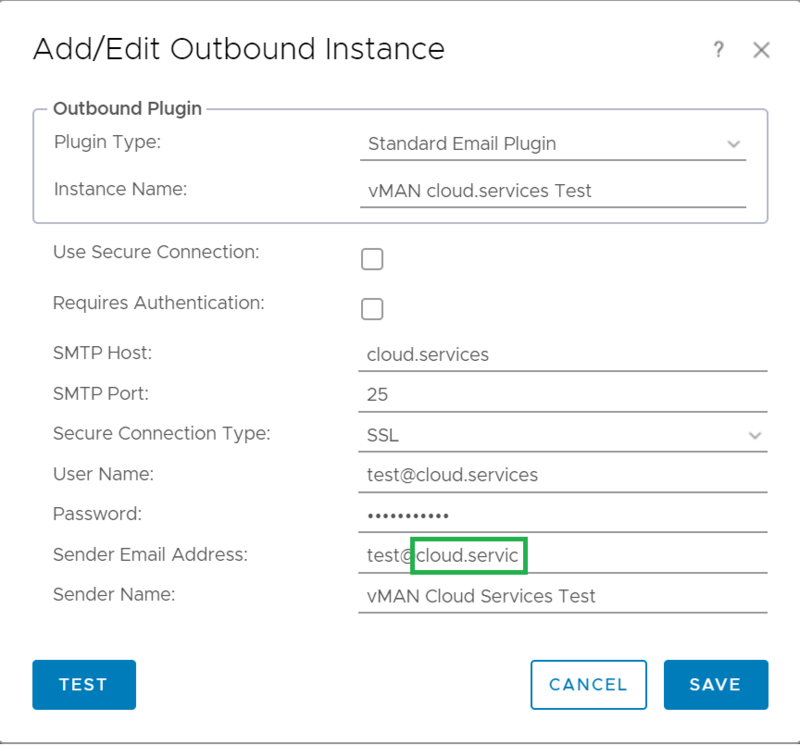 One of the guys which runs vMug with me asked if I knew a work around to enter a Sender Email Address with a top-level domain (TLD) longer than 6 characters on the Standard Email Plugin… It turns out that vRops invalidates the sender address if the TLD is longer than 6 chars so you cant save the instance in the GUI!! Here is an example with a length of 6 characters, allows me to click SAVE. Here is an example with a length greater than 6 characters, does not allow me to click SAVE. Below is the XML structure required to POST to /suite-api/api/alertplugins to create the plugin as the suite-api example just throws a 500 error with no explanation! (sigh) it turns out the example is missing <ops:name> in the XML provided. I have raised this with my VMware / vRops contacts and hopefully will get a bug created and get them to correct the Suite-api documentation.